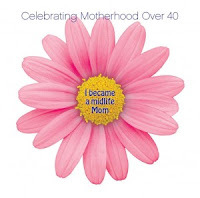 Flower Power Mom plans to kick off the first international campaign to relieve the stigma of later life motherhood and to celebrate the strength, wisdom and truth of women having children after 40. This is a call for change. It is a call to all women who are existing, expectant or hopeful-to-be mothers after 40—and to those who love them. It is a call for all of us to spread the word—for we are the wave of future motherhood and only as a collective can we empower change.